Enjoy the simple pleasures with your family here at The Rarotongan, where you can feed the fish right at the water's edge, or snorkel straight off the resort's secluded beach in the sparkling blue marine reserve to play with the colourful reef fish. The world-class beach and lagoon are no more than 10 seconds from your doorstep! Your children Play Free in the Cook Islands' only kids club, the Moko's Kids Club, and parents love it too because children also Stay Free here at The Rarotongan! Yes, two children aged up to 11 years Stay Free when sharing a room with up to two adults. And up to 4 children can Stay Free in our fully self-contained Two Bedroom Beachside Suite and Grand Beachfront Suite categories. And for even more family fun, Moko's Kids Club kids also receive a great Free Fun Welcome Pack upon arrival at The Rarotongan for your kids in paradise holiday! Named after the cheeky gecko known in the Cook Islands as the 'moko', our Moko's Kids Club has been a family favourite for many years and is regularly hailed as the best kids club in the South Pacific by parents, children and travel industry professionals alike. A fully-supervised, colourful and superbly-equipped facility, Moko's is not just a large play room, but is also an interactive educational experience, where your children learn about the unique culture and nature of Rarotonga through special hands-on daily kids activities programmes. In the evenings, Moko's hosts Kid's Movie Night, allowing you to relax and enjoy a quiet dinner together. Kids aged up to 11 years Play Free at the Moko's Kids Club, and under 4's are welcome under the supervision of a parent or caregiver. And Moko's Kids Club is not just open during school holidays - it is open year-round, Monday through Saturday from 9am to 12noon, 2pm to 5pm and 7pm to 9pm. And kids even enjoy Free Snacks and Drinks at each kids club session! All of which means that anytime you're ready for your vacation, the Moko's Kids Club is here ready to provide a great play and learning environment for your children. And best of all, the Moko's Kids Club is staffed by our experienced, friendly kids club team! The NEW Banana Beach Playland Crèche offers babies and toddlers 0-4 years fun activities and more in a completely safe environment. Open year-round Monday-Saturday, 9am to 12noon, 2pm to 5pm, and 7pm to 9pm, the Banana Beach Playland Crèche provides babies and toddlers with a fantastic range of toys, baby cots and more, all under the supervision of our friendly staff at The Rarotongan Beach Resort & Spa. Let your little one be taken care of by our friendly staff at The Rarotongan, who will ensure your baby is kept happy with naps, activities and more all in a safe, caring environment. NZ$45 a session. TEENS PLAY FREE! Located beside the Moko’s Kids Club, the NEW Teen Zone offers even more to do in paradise for teens aged 12-16 years: Try Scuba Diving Lessons, Fish Feeding, Air Hockey Competition, Ukulele & Drumming Session, Beach Soccer, Crab Races, Karaoke, Table Tennis, Snorkeling Tour, Pool Table Competition, Coconut Show, Beach Volleyball Tennis - Dodge Ball, Gaming Machines, Dancing Lessons - Pareu Tying, Island Basketball - Crab Hunting, Water Volleyball - Beach Touch Rugby, Bingo - Disco Nite at the new Latitude 21-30 nightclub. For further information dial 8061 to reach Activities and talk to one of our knowledgeable activities team. Moko's Kids Club, located at treetops level, is your children's own club house and offers a wealth of interactive resources including a wide variety of arts and crafts, toys, board games, books, puzzles, Lego, musical instruments, sports equipment, indoor trampoline, table soccer, ride-ons, computer games, PlayStation, X-box and much more. The club offers kids the opportunity for free play balanced with a range of fascinating structured experiences to allow them to explore our unique local culture and nature within our daily-changing dedicated children's activities programmes. Moko's Kids Club activities programmes change daily and have been designed with your child's fun and education in mind. A wide variety of activities will keep your child playing, learning, and happy throughout the day, and the activities board outside the clubhouse keeps you up-to-date with today's special programme. Your children can learn to dance the famous Cook Islands ura (hula), make their own fresh ei garland (lei) from flowers they have picked themselves, and play the ukulele strings or beat an authentic hollowed-out log drum. They can learn about the traditional Polynesian games children used to play in yesteryear (such as coconut bowling, and making and flying kites), practice how to say hello in Cook Islands Maori, paint their own coconut, 'hunt' a moko, make their own vaka (outrigger canoe), have their face painted and much much more. What with Moko's Kids Club offering a great play and learning environment, free healthy snacks and drinks at each session, and being equipped with its own kids clubhouse toilets and shower, the only (common) problem you're likely to face is that the kids won't want to leave! There is no doubting the Moko's Kids Club will be one of the real highlights of your child's holiday at The Rarotongan Beach Resort & Spa, remembered long after you've returned home. Moko’s Kids Club is free to all children aged up to 11 years staying at The Rarotongan Beach Resort & Spa. Children aged under age 4 are invited to Play Free but must be under the supervision of a parent or babysitter throughout their play session (please ask at Front Desk to arrange a sitter). The Club is unable to accept non-resort guests. If you have a child aged under age 4 who wants to join the fun at Moko's Kids Club, or if you want to escape for a quiet, private adults-only dinner, we recommend you hire one of our experienced babysitters. Babysitting is available at the Resort for NZ$15 per hour, minimum three hour hire, with a limit of two children per sitter, plus additional meal and transportation fees. Please allow a minimum of 24 hours notice for us to make your babysitting arrangements. 1. Go snorkelling in the wonderful Aroa Lagoon Marine Reserve, the 7 year old marine reserve right in front of The Rarotongan. 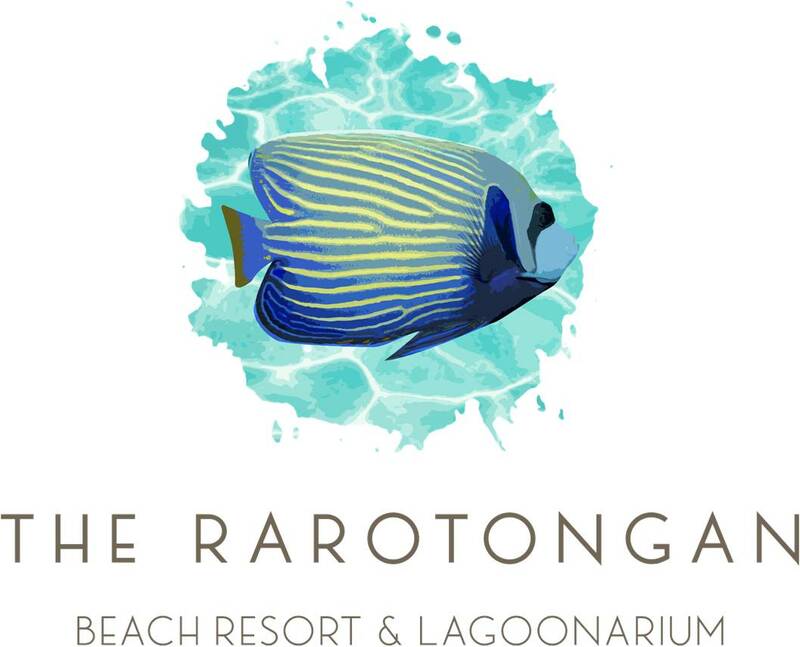 At The Rarotongan you are able to snorkel straight off beautiful Aroa Beach and see many friendly, vibrant tropical fishes such as butterfly, parrot, and angelfishes very close to shore in Aroa Lagoon (the Lagoon of Love). This is Rarotonga’s best snorkelling and is great for children because it is a manageable depth, usually calm (although be aware of currents during tidal changes) and is protected from the open ocean by a natural, sheltering coral reef (ie no chance of being washed out to sea, and no large marine animals coming into the lagoon!). See the beautiful reef fish on the posters, then swim with them in real life! Guided snorkelling tours for guests leave daily from The Rarotongan’s Activities Hut. 2. Take Mum & Dad to an Island Night spectacular! At The Rarotongan’s world-famous ‘Legends of Polynesia’ Island Night, you can show Mum & Dad how Pacific Island people today still cook in underground ovens (umus), with hot rocks and banana & coconut palm leaves. Then you can show them how to eat the umukai feast with your fingers, and how to dance the ura real fast! A not-to-be-missed taste of authentic dancing, drumming, and feasting. 4. Take a self-guided adventure tour. Get Mum & Dad to hire your own soft top 4WD and explore the back roads, villages, and plantations of Rarotonga at your own pace. Don’t forget your camera. 5. See (and hear) one of the world’s rarest birds. Hike into the Takitumu Conservation Area to enter the habitat of the endangered (& chatty!) kakerori. 6. Swim at Papua (Wigmore’s) Waterfall. Hike or drive up to the waterfall and see if you can find the shy freshwater prawns. 7. Spend the day at the beach. Swimming, sunbathing, snorkeling, kayaking, playing beach volleyball, hunting for crabs, diving for cobalt blue starfish, building sand-castles, or flying a kite. Cool fun! 8. Go on Captain Tama’s or Koka Lagoon Cruises glass-bottom boat cruise of Muri Lagoon, watch the fish being fed, and snorkel off the boat if you like, then stop at a deserted island (motu) for a beach BBQ lunch. And on the other side of the motu, there’s even an old shipwreck. 9. Go star-gazing! An island like Rarotonga, far away from the lights of big cities, gives you the chance to really witness the magic and wonder of the night sky twinkling with the lights of trillions of stars into infinity. As you gaze into the night sky of the Southern Hemisphere, look out for the Southern Cross, the Milky Way, Venus, Orion, and lots of shooting stars. Wow!